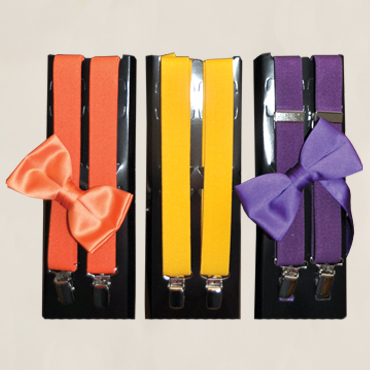 Colored suspenders with matching bow ties are the perfect way to spice up a look! Look stylish even when you take your jacket off! 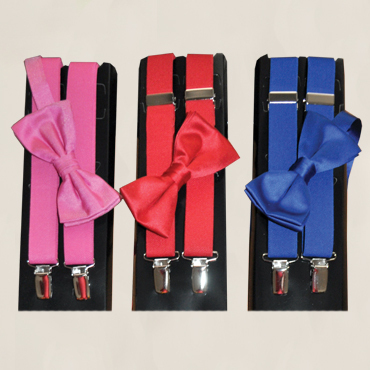 Choose from a variety of colors to spice up your look.